This toothpaste works alongside your bodily functions to naturally give your mouth a proper clean. The sea salt contained in this toothpaste naturally causes your mouth to water and to make more saliva, this saliva does what it’s meant to and helps keep your mouth healthy and clean. To help assist with toning gums this toothpaste contains natural extracts of myrrh, chestnut bark and ratanhia root. Additionally, it contains abrasive particles which softly clean the teeth and defends them against plaque and tartar build ups, preventing cavities. To make this salty, zesty toothpaste super fresh essential oil of peppermint has been added. This toothpaste does not contain fluorides and is suitable for vegetarians. 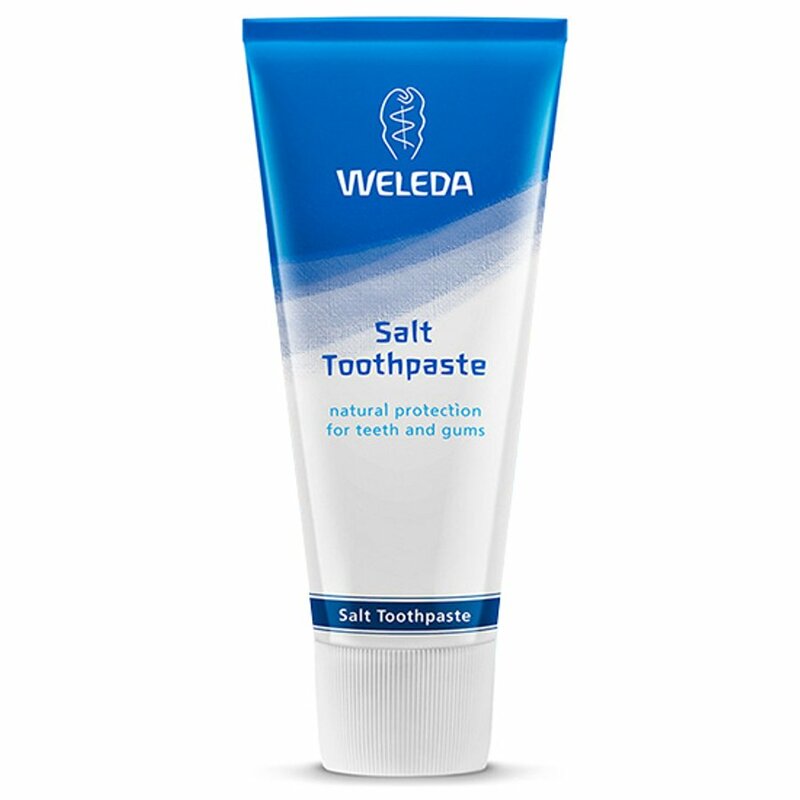 There are currently no questions to display about Weleda Toothpaste - Salt - 75ml.